My name is Kakatisi Taulava. 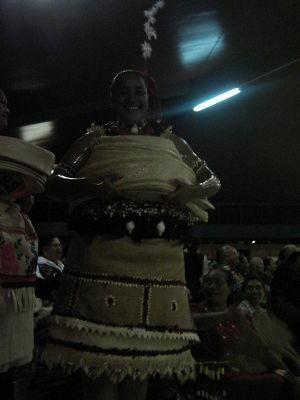 I am a Tongan. I am married to Tevita Taulava. 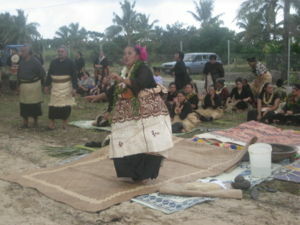 I am from Nukunuku from the island of Tongatapu from the Kingdom of Tonga. I have 3 children, two daughters and one son.They are 'Elisa Neomai Payne, Sisilia Lile Taulava and Semisi Fonua Taulava. I have two grandchildren Viliami Falengameesi Payne and Uini Payne. I have been teaching for 26 years before working as school Principal for 3 years then 2 years as an education officer. My job now is to help the teachers at the field in giving them informations that will help them in their job. I am very lucky to be a teacher because i know i have helped the children in Tonga. so that they will become a good teacher and make sure that the students at school are getting the correct information. I love to read because i get more knowledge from different readings. This workshop is a blessing to me because i have another place to get more information for my jop as an education officer, I wish that i will have connection with the WIKIeDUCATION in the future. This page was last modified on 10 August 2009, at 08:56.